Icky Chicago weather led to this family session being rescheduled multiple times. But today, clear skies, clear schedules and we are off and running! So I meet the family and I hear, "oh, I didn't tell you but I brought the dog..." So I was like "OK that's cool..." But inside I was screaming "THEY BROUGHT A DOG!!!!!!!" Having two amazing whippets of our own, i love dogs! Well fall finally hit overnight. It is raining and windy and 20 degrees colder over the last 24 hours. This is not the ideal for taking fall family pictures outside in Chicago. It does mean a bit of extra time playing with Evelyn. I will take that trade. Not long before I lose all the time!! 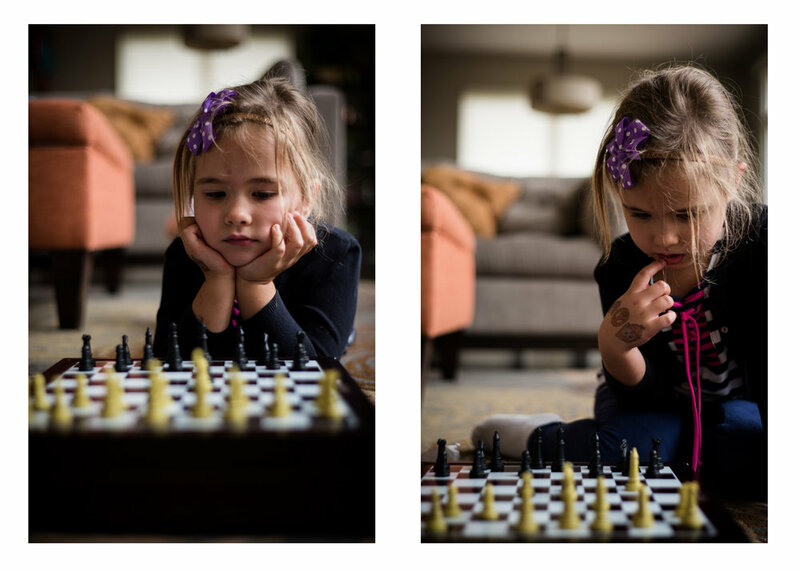 With her older sister in Chess Club, it won't be long until they find yet another thing to conspire against me with. And I couldn't be happier. Although we are currently under a rain delay, there is still a lot of green on the trees. Contact me to schedule your family pictures!